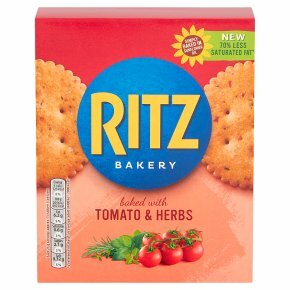 Savoury crackers with tomato and herbs. Suitable for vegetarians. Simply baked in sunflower oil 70% less saturated fat* *70 % less saturated fat than other savoury biscuits on average.